St. Louis has many top prospects making it to big shows. This includes Tyron Woodley, Josh Sampo, Lance Benoist, Alp Ozkilic, Andrew Sanchez, Nicky Lobosco, Ken Porter, and more. Another fighter will be added to this list come Friday, and his name is Dan OConnor. OConnor is 5-1 and currently riding a four-fight winning streak not including his one no contest against Titan veteran Ken Porter. OConnor last fought for Rumble Time Promotions on March 14th against the taller Gary Becker in the main event. He defeated Becker by TKO in only 40 seconds of the first round after taking the much taller fighter down, gaining full mount, and punching Becker until the referee was forced to stop the quick ending bout. OConnors next fight will be this Friday in Oklahoma against Pedro Nobre for Titan FC. The 28 year old Nobre is no easy opponent for OConnor as he is 15-1 and riding a four fight winning streak, not including his one no contest in his UFC debut against Yuri Alcantara. Adding more to his impressive credential, he also fought for Shooto. We tracked down OConnor ahead of this and the personable flyweight is coming off one of his best camps in recent memory. Well I just fought on March 14, and only took off a few days for a quick vacation before we got the phone call for this fight, OConnor said. So I'm in pretty good shape still. I've added in a few new sparring partners for this fight. It will be a huge asset. Its a brutal strength and conditioning program. My weight wasn't far off at the beginning so this has been just a great camp so far. Nobre is a former UFC fighter, and OConnor mentioned that it would be the toughest fight of his career because Nobre not only fought for the UFC, but the fact that he has fought ten more times than the St. Louis prospect. Nobre is ranked No. 25 in the world. OConnor added that this fight is the test hes been looking for. He has solid stand-up and ground game, OConnor said. Pedro is a much better fighter if youre intimidated or scared of him. If you fight back hes not the type of fighter that wants to be in a slugfest with someone. Going into the fight, OConnors game plan is to think of him as nothing different than anyone else. Dont give him too much credit, OConnor said. OConnor predicted that the fight ends, by a razor thin split decision in my favor. No I don't see this being a decision, there are too many aspects where we are both finishers. I see him making a mistake and me taking it. In addition, the game plan is to, go in the cage and do what I always do. Make it nasty if it needs to be and slick when it needs to be. Im always hunting for the finish. OConnor is not just excited about fighting a UFC vet, he is also excited about the opportunity to fight on a national level with Titan FC. 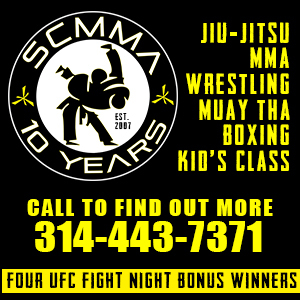 OConnor shared the story of when he received the call from Titan FC. He was leaving training on the way to meet a friend and his Thai coach called him with the good news. OConnor was in, awe. OConnor mentioned that it was the call hes been waiting for. He was called by Titan the previous month to be a late replacement for Nobre. Unfortunately, Nobre had visa issues. OConnor was thrilled that Titan FC called again and still showed interest in him fighting. OConnor is most looking forward to testing his skills, and also showing people that MMA records dont tell the whole story. After being asked where this would put him if he beat the No. 25 best flyweight in the world, he said, Going from unranked and beating the No. 25 flyweight could be viewed as a fluke. So I don't know. I'm just really happy with Titan FC. Ive always been a fan of them and the shows they put on. Locally, OConnor has always been a fan favorite with both his personality and go-for-broke style. I try and put on a show, I never stall and I am trying to take this away from the judges decision with every punch, kick, and submission I attempt, he said. Most say my ground is my best part, but I am a pretty good striker as well. I like to think Im well-versed everywhere. 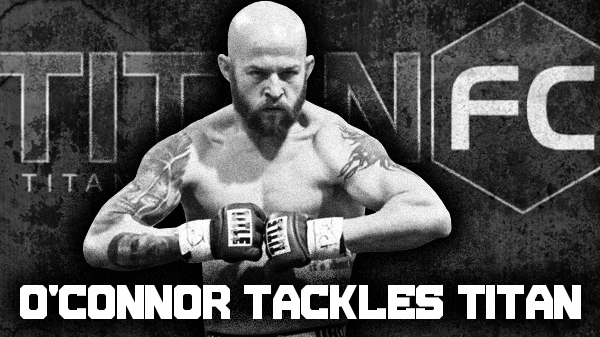 Watch Dan OConnor take on Pedro Nobre for Titan FC in Newkirk, Oklahoma on May 16th. Titan FC 28 main card will be live on AXS TV. OConnor prelim fight can be streamed at cbssports.com.